Vista is our newest apartment complex in Skyview Ranch, Calgary. 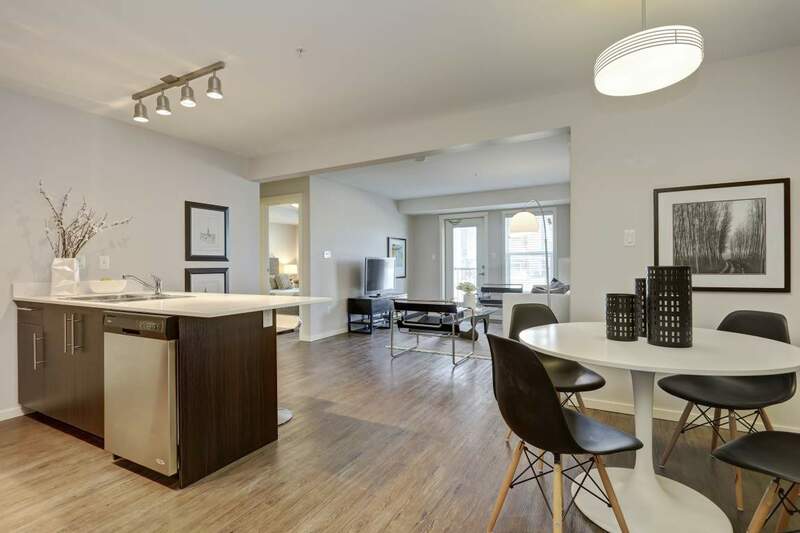 These apartments are just a 5 minute drive from the YYC International Airport and are perfect for those having to commute to Airdrie, the NE, and outside of Calgary. Vista offers 1 and 2 bedrooms suites with furnished options and all suites include 2 bathrooms. Each unit has in-suite laundry, dishwashers, microwaves, stainless steel appliances, air-conditioning, storage, window coverings, and laminate flooring. The buildings include elevators, underground parking, bicycle storage, maintenance stations, and are pet-friendly. Vista is managed with on-site professional staff whose core focus is making sure your home is safe and comfortable. Be the first to live in these brand new buildings and experience all the amenities first hand! Contact our leasing team at (587) 437-1511 to schedule a viewing! Check out our feature in the Calgary Herald to see what people are saying about us!